[PDF] Manual of Anesthesia Practice (Cambridge Pocket Clinicians) | Free eBooks Download - EBOOKEE! 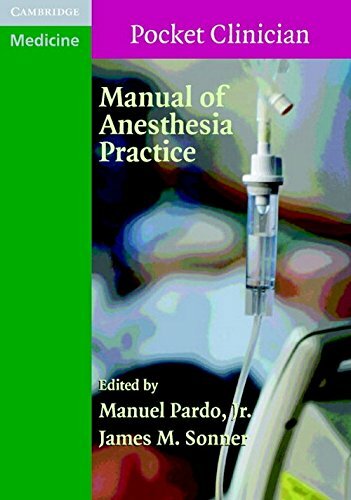 Description: Manual of Anesthesia Practice is designed to provide a comprehensive review of clinical anesthesiology, oriented toward the clinician's perspective at the point-of-care. Divided into five distinct sections that include the following: I. Coexisting Disease What medical problems does this patient have and how should I manage them? II. Critical Events How do I diagnose and treat unexpected life-threatening perioperative problems? III. Drugs What information do I need to know about a medication I am about to give,or that the patient is receiving on a chronic basis? IV. Procedures What do I need to know about the proposed surgical procedure to safely care for the patient? V. Techniques What are the important aspects of performing certain anesthetic techniques or procedures? No comments for "[PDF] Manual of Anesthesia Practice (Cambridge Pocket Clinicians)".